The 6 1/4 in. 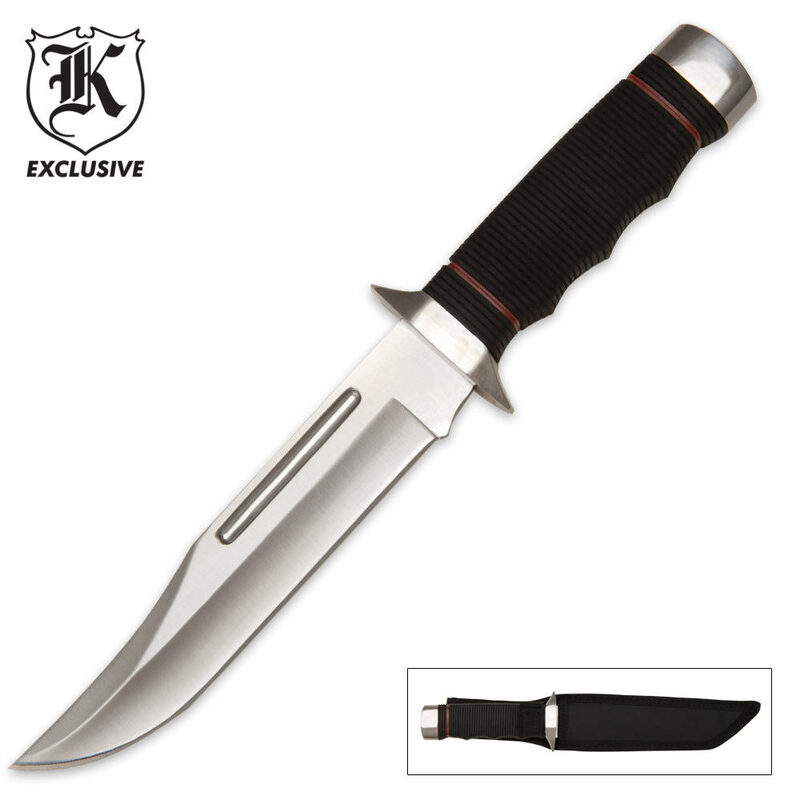 satin finish, stainless steel blade comes sharpened from the factory and offers a heavy blood groove. The rubber over-molded handle offers a firm grip even in battle. Includes nylon belt loop sheath. 10 3/4 in. overall, 6 1/4 in. blade. I wanted this knife to be more! Not a home run for this blade! I absolutely love this knife!! Fits larger hands perfectly. Razor sharp out of the box. Needs a better sheath. I love this knife! It's my new favorite. It's not too nice so I don't feel bad using it. Mine came sharp and sturdy. Nothing loose or rattling. The blade and the handle are the perfect size for me. Again, I LOVE this knife! Thanks BudK! Terrible broke in three hits and the handle was wiggly and misshapen. I bought this knife along with another knife, before this i only had pocket knives, a machete, a sword, and three throwing knifes. i expected it to be 20 dollars of metal with rubber, but it was surprisingly good quality and it didn't disappoint it was relatively sharp out of box. The end cap could be better it almost came out but i hit in back in and haven't had problems with it since. 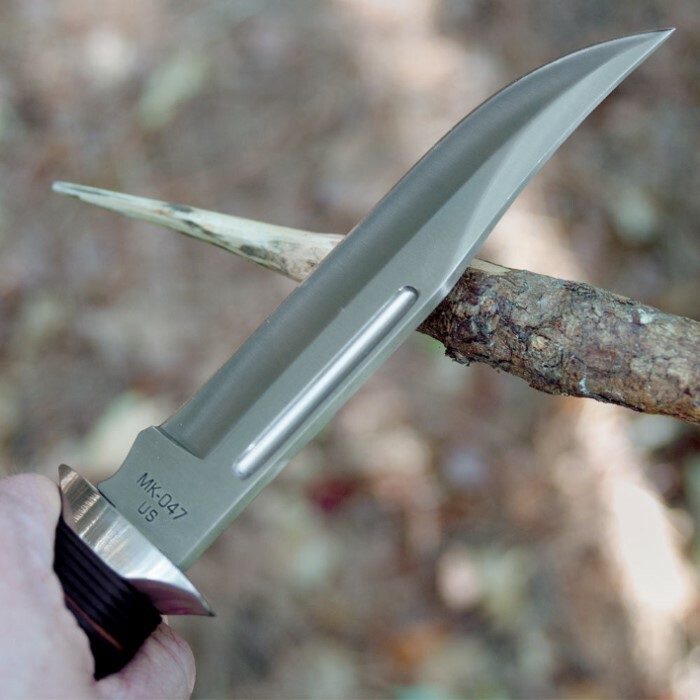 i would encourage any knife enthusiast or anyone to buy it, it'll assist you greatly in any apocalypse, survival situation, or just chopping cans and plants into pieces. Out of the box this knife looks very mean. It was sharp, it had good blade thickness, and it had a nice rubberized handle. But their was a little rattle to the blade. So then I took it out to see what it could do cutting. I hit a log very lightly one time and the knife fell apart in my hands........ It was a big disappointment, but I'm just glad that it didn't injure me while I used it. Don't waste your money on some cheaply made half tang knife. Save your money and get something that could actually help defend yourself in a life or death situation. Excellent knife, would recommend to anyone. Good feel in my hand, well balanced, came fairly sharp, and has a great look. A little misleading as it is not a full tang; however, for the price a very good buy. 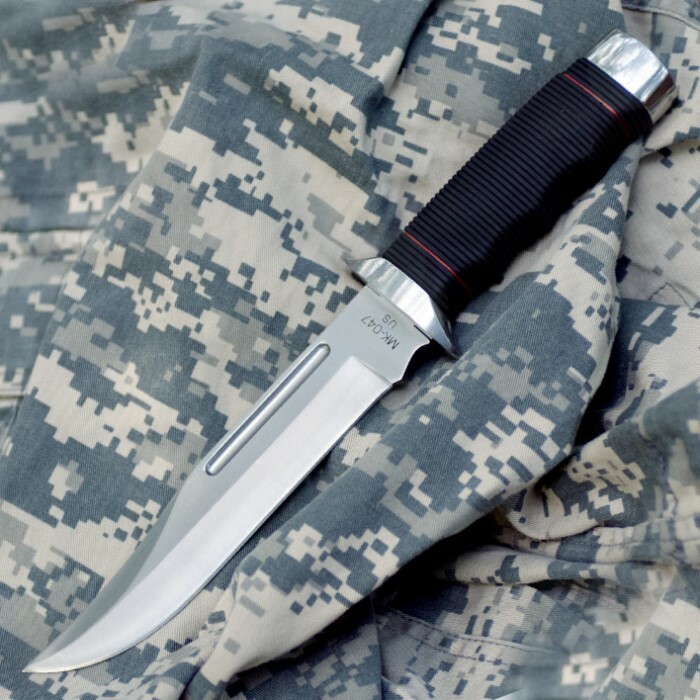 The sheath is acceptable, not exceptional, but functional.